Jane Thomson, Managing Director of South Africa Qlik Master Reseller. South Africa Qlik Master Reseller, a leader in visual analytics has been confirmed as gold sponsor of Healthcare Innovation Summit Africa (#HISA2017). This event will take place on 29-30 August 2017 at Vodacom World in Midrand, Johannesburg. As the healthcare industry looks to take advantage of the benefits of business intelligence (BI) and visual analytics (VA), local and international industry leaders are already taking advantage of this technology. "It is no secret that healthcare providers are facing rising costs, long revenue cycles and bad debt. We also know that the South African public demand transparency and accountability. 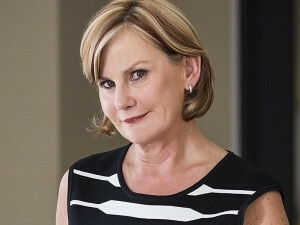 As a result, there is a growing need for BI and VA to be used for evidence-based medicine (EBM), pay for performance (P4P), diagnosis-related groups (DRG) and consumer-directed health plans (CDHP) in order to quickly integrate and analyse data across healthcare and hospital systems," says Jane Thomson, Managing Director of South Africa Qlik Master Reseller. * Ensure trust and timely regulatory compliance by delivering on key operational, patient safety and quality of care metrics. Thomas Jefferson University and Jefferson Health are examples of institutions that are already making use of Qlik to further its mission of enhancing patient care. They are doing this through advanced collaboration and aggregated data collected from clinical, operational and academic departments across multiple partner hospitals. "With the use of Qlik Sense, Thomas Jefferson University and Jefferson Health will collect, analyse and disseminate data, and make decisions that have long-term effects on the health of current and future patients," adds Thomson. Another example of this is the South Central Ambulance Service NHS Foundation Trust (SCAS) in England. The Trust is using Qlik Sense and QlikView across the organisation to visualise its data on a map on a computer screen to better understand where its ambulances are positioned/ located and where they need to be at any given time. "By bringing the reality to life by visualising vehicles within its command centres, the Trust has a more accurate view of vehicle performance and locations, helping it to identify where improvements can be made to get its patients critical care more efficiently." These examples bridge the gap between traditional BI solutions and inadequate spreadsheet applications. "The in-memory associative search technology pioneered by Qlik, pioneered the self-serviceBI category that allows users to explore information freely rather than being confined to a predefined path of questions. The solutions are appropriate from SME to the largest global enterprise, Qlik's self-service analysis can quickly be deployed within days or weeks and the platform's app-driven model works with existing BI solutions, offering an immersive mobile and social, collaborative experience," concludes Thomson. Headquartered in Radnor, Pennsylvania, Qlik does business in more than 100 countries with over 40 000 customers globally.